The National Council for Women (NCW), headed by Mervat Al-Tallawy, announced an initiative to financially support and assist young female candidates who wish to run for the parliamentary elections of 2015. The NCW, established by a presidential decree in the year 2000, is the governmental institution tasked with addressing women’s issues. “We will pay for each candidate, for the required candidacy application insurance fees for women aged between 25 and 35,” Al-Tallawy stated Tuesday in a press conference held in Alexandria on enhancing the political participation of women in parliamentary elections. 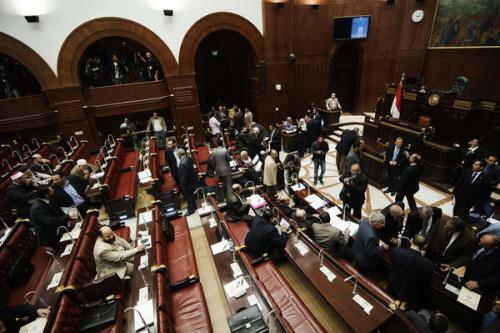 Individual candidates are required to pay a sum of EGP 3,000 in insurance fees, while candidates running through lists will pay double the fee, according to the parliamentary elections law. 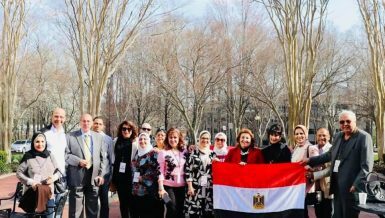 “Some of the women at the conference said they could not afford the amount,” Al-Tallawy told Daily News Egypt Wednesday, explaining that NCW aims at helping as many female candidates as possible overcome obstacles, including financial ones. 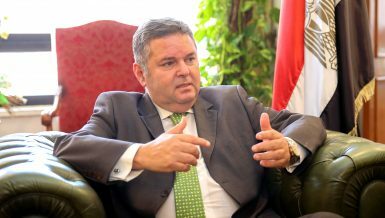 Al-Tallawy spoke of female representation in the parliament, which expected to host at least 70 seats for women, of which 14 are to be directly appointed by President Abdel Fattah Al-Sisi, according to Al-Tallawy. According to the parliamentary elections law, the parliament will comprise a total of 567 members, 27 of which are set to be appointed directly by the president. Half of those members will be women, said Refaat Al-Komsan, the presidential advisor for electoral affairs, in a report published in state-owned Al-Ahram on 10 December. The members of parliament appointed directly by the president are supposed to guarantee fairer representation for women, since the constitution does not specify a quota for women in parliament. 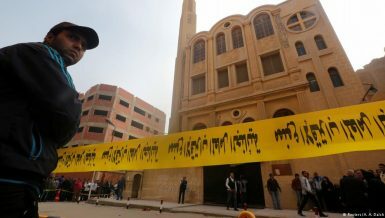 “Officially, the representations within the list are not specified in numbers, but the law requires maintaining a minimum representation of nearly 50 percent,” Alaa Essam, Al-Tagammu Party’s attorney explained to Daily News Egypt Wednesday. Therefore, almost half of the total 120 seats reserved for lists should go to women. As for the remaining 420 seats to be won through individual candidacies, Al-Tallawy said that so far 48 women across governorates said they were going to run as individuals. While the individual candidacy system can be difficult because it requires more expenses for electoral campaigns, Al-Tallawy noted that the number of female candidates from all governorates running on an individual basis actually increased, reaching so far a total of 48. “Many of them depend on their popularity within their neighbourhoods and constituencies,” Al-Tallawy said, in addition to different supportive programmes provided by the council, including training on political life and elections. In the meantime, the Supreme Electoral Commission is yet to announce the schedule for the elections, after the final electoral districts law was approved and passed by the president Monday, amid wide public expectations that elections will start in mid-March 2015.